Regardless of your relationship with your mailroom, whether you work in one or supervise one, you probably have an interest in ways to make it operate more efficiently and cost-effectively. Just as is the case with so many other areas of business life, technology has not left the mailing room behind. 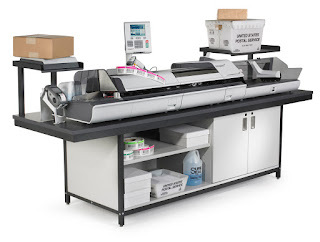 In fact, in the past few years, the number of mailing machines that are designed and built to not only maximize, but expand the abilities of the mailroom have grown exponentially. Even those mailing machines that have existed for years have been redesigned to make them better than they ever were before. 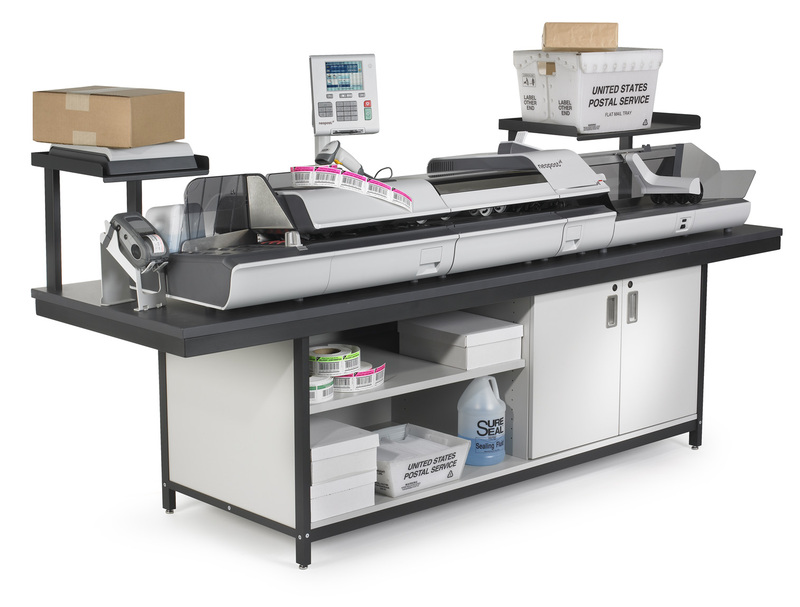 Here's a brief look at just a few of the newest mailing system machines. Postage meters have been around for years, so what more could you possibly do for them? The truth is that whatever advantages they give you in efficiency with your current workload, they can improve manifold. Today's mailing postage machines simplify outgoing mail processing to ensure that your mail is accurate and professional looking. Even more impressive is the fact that today's postage meters come in models that specialize in low-, medium-, and high-volume use. If you are dreading your company's next newsletter mailing, you are not alone. Any mass mailing is a huge chore, but with the tabbers, folders, and labelers that are available today newsletters and other big mailing jobs are child's play. What in the past was a huge job of manual operation is now almost completely automated. In fact, in many cases, the only job an operator needs to do is to load the machine. From that point forward, the job is done. Got incoming mail? Depending on the size of your business, the processing of incoming mail can be a huge laborious task. Fortunately, the whole process of opening letters, including checks, got a lot easier and less time consuming. 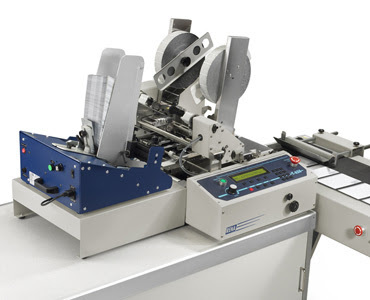 Not only do automatic letter openers work with virtually any sized envelopes, but they perform the task with little or no waste and protect the valuable contents inside. Using automated addressing systems in the past meant sacrificing print quality for speed, but today's machines can handle not only a wide variety of volumes, but the print quality that is achieved will no longer make your mass mailing look like it is. Just as important as sending mail out of a business is making sure that certain documents never leave. Today's mailrooms are often tasked with the responsibility that confidential documents and other sensitive information are destroyed. That makes paper shredders a critical part of any mailroom operation. Just as is the case with so many other mailing machines for sale, shredders work with any volume of work required, and deliver quality work on the jobs they are tasked with. Any document that doesn't need to be physically kept and/or stored can be reduced to any number of levels of pulp. Even better, these machines can run at high speeds without jamming. OB/GYN practices involve a lot of billing-related hiccups to get paid (on time) for medical treatment and services provided. Sometimes insurance carriers can underpay an OB/GYN clinic for the services offered. In other cases, patients of the practice are slow to make medical billing payments on time. The financial strength of one’s OB/GYN practice is directly linked to timely medical billing and reimbursement of accounts. It is essential for any provider of OB/GYN services to work with a professional billing company for quick follow ups and timely filings. However, OB/GYN practices that need to make a choice of a good billing company can find such a search an overwhelming task. Here is a compilation of the top three trusted providers of OB/GYN billing services. 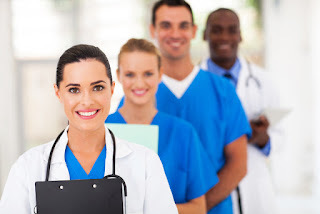 Practice Management has been offering unmatched OB/GYN medical billing services since 1995. They have served a broad range of physicians and with reliable billing solutions to aid them to operate more efficiently and effectively. They are updated with revised and new CPT codes, E & M codes, and modifier codes and much more. They can also replace the non-payable or codes that have become obsolete with new ones. Practice Management is equipped with highly educated and trained staff that is adept in offering a broad range of medical procedures such as pap tests, pregnancy and related complications, endometriosis, and complications related to vaginal mesh. What makes Practice Management unique is the use of advanced state-of-the-art technology. All their practices are geared towards improving revenue for OB/GYN clients as well as improving patient satisfaction. A combination of experienced staff with the trusted technological equipment places Practice Management ahead in OB/GYN practice. Moreover, Practice Management also provides credentialing and consultation services to physician billing clients. MPMR is another expert provider of OB/GYN billing services. Their state-of-the-art billing services have translated to excellent reporting and reliable client support services. Medical billing codes for obstetrics and gynecology are very complicated, and slight mistakes can cost someone thousands of dollars. Every single character in the code creates characters that appeared before it. This help in providing a unique code combination that shows the insurance companies the full description to ensure that they offer a standardized billing. MPMR is equipped with competent staff that is rich in medical OB/GYN billing skills. They serve all clients whether new or old in OB/GYN billing field. 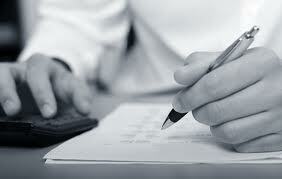 Perhaps, they have helped a broad range of clients come out of the serious pitfalls in medical billing. They also have excellent customer support to aid one to get maximum revenue flow. 3. Dr. Billing Service, Inc.
Dr. Billing Service, Inc. has years of experience in providing excellent OB/GYN billing. They have been rated a five-star billing company due to the quality of services they provide. What makes Dr. Billing unique include the comprehensive OB/GYN billing services that they offer. 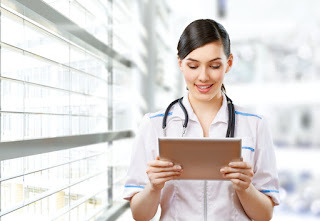 The medical billing company offers a robust computer systems and software that are all designed for OB/GYN medical billing and collection. They also boast of their certified professional coders that work to ensure that clients get maximum reimbursement services. In their service line, they have also included AR and full electronic claims. Dr. 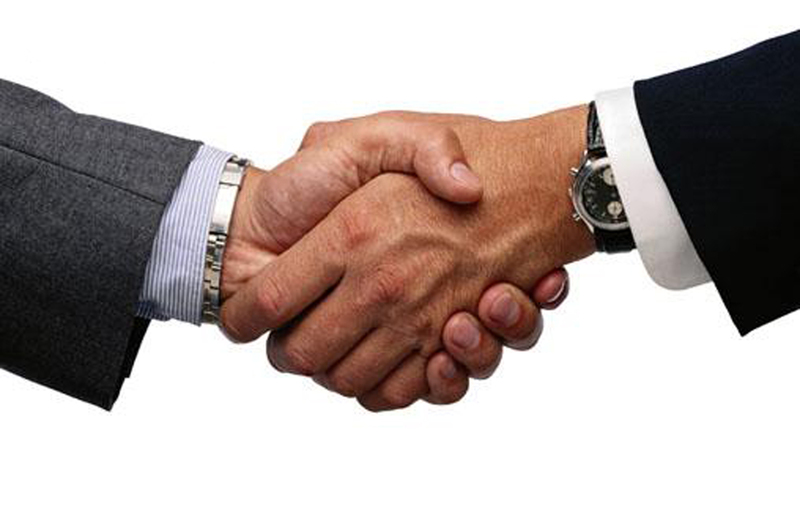 Billing makes everything out right by availing the necessary resources to ensure that clients get paid. Before setting out, they offer an initial evaluation. All the claims are submitted electronically hence reducing instances of fraud and errors. There are also detailed reports at the end of every month. It is their goal to ensure that clients get the highest returns on their claims while not sacrificing services on patients. Walz Scale is an industry leader in heavy-duty weigh scale systems and has been offering truck scales and weighing systems for about 50 years. The company's truck scale systems are widely used for large scale operations and heavy duty equipment. Walz Scale has continued to successfully evolve its products to meet the unique needs and rugged demands of its customers- all of these efforts have been driven by efficiency. For instance, the company's in-motion truck scales have been taking many industries by storm. By offering a portable truck scales system that enables operators to weigh trucks and truck loads while passing over the scale unit at slow speeds, many companies are realized dramatic increases in throughput and efficiency. The patented design of these material handling scale systems has been field tested and has proven its dependability and accuracy. No other scale on the currently on the market delivers such a high level of overload protection and accuracy as these systems offer. These advanced scale systems have been designed for precise in-motion software assisted weighing amidst rugged industrial setting. This scale system is applicable to both magnet and grapple attachments, which makes it perfect for metal and scrap processors. The weighing terminal of these scales is a screen (backlit LCD display), which makes it easy for user to read data during day or at night. For resource extraction operations and mining companies, weighing payloads is important to ensure profitability. Different types of mining truck scales are now used to ensure accuracy of payload and also help in streamlining payload management process. Walz scale offers wide range of mining scales through its dedicated branch Walz mining. Let’s have a close look at some of the most popular scales offered by the company. All these systems are revolutionary and have catapulted the mining operations to the next level. Underground truck scales are best for mining operations that are carried out underground. These scales can measure load weight while transferring material from the site to the stage of the process. These underground truck scales are integrated as onboard scales and can measure load while on the truck. Miners interested in minimizing transportation cost and optimize efficiency can use these scales. These scales are integrated on articulated trucks that are used for specialized mining operations or for hauling load. They are often used to reduce the number of trips necessary to transfer materials and loads. Walz is among few suppliers in the industry that offer the most functional and popular mining truck scales. Using haul truck scales, miners can weight loads while their truck is still in motion. In addition, these heavy duty truck scales are highly accurate and can be easily integrated with the company’s scale monitoring system for production management. Coupled with Walz Scale's payload management software, mining companies can realize a wealth of benefits and can further streamline their weighing operation. 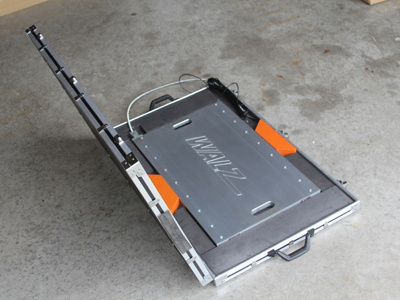 Walz also offers portable truck scales that offers incredible benefits to wide range of users. They can be used anywhere and you can also buy software integrated scales to ensure maximum accuracy. Then there are portable truck axle scales, aluminum and steel portable truck scales and portable weighbridge truck scales. These scales are best for farmers, gravel, sand logging, mining and construction industry. Need Truck Scales for Rent? Walz also provides truck scales on rent. They also promise local online support and training programs. More information about Walz truck scales for sale can be found at WalzScale.com. We all trust banks to keep our savings safe but barely do we consider how they achieve that feat. Like any other organization, the banking institution enlists security companies to protect their employees, customers, assets and cash in the coffers. It is important that the companies chosen for this delicate job are professional and ethical as any security breaches could cause a major spat between the bank and its loyal customers. It is this demand that led us to analyze the leading companies that offer exemplary bank security systems and specialized security products. 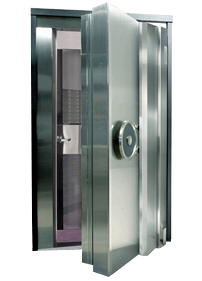 Tyco, which is based in the US prides itself with decades of experience in bank security products and systems. They have a variety of security systems, software and services that protect banks against different threats. Most notable is the ATM security solutions that include silent alarm notification, video surveillance, lighting and anti-skimming technology which helps to increase confidence among customers who prefer self-service. They also have a range of remote management tools which allow management to receive alerts or conduct video surveillance on smart devices. Two decades in the competitive bank security industry mean that this company has got what it takes to provide superior security to financial institutions. 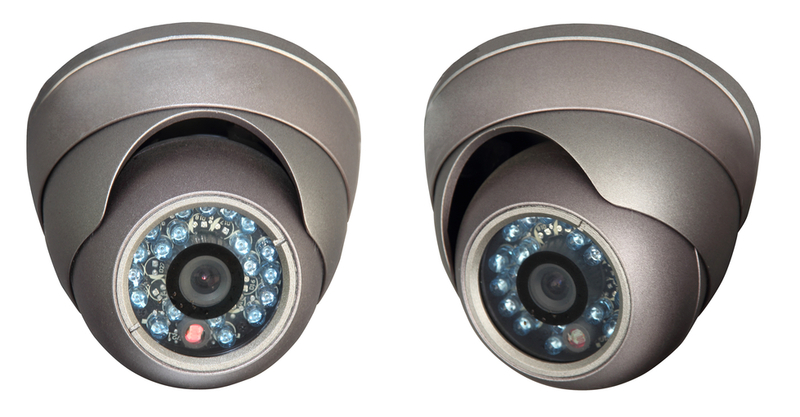 Their hallmark is their ability to integrate multiple components to provide the best security. Veridin specializes in physical security systems characterized by advanced access control, CCTV bank security systems, network and electronic security systems that deter theft and vandalism not to mention convergence IT solutions that offer banks one graphical user interface as opposed to several individual systems that are very difficult to manage. Seico Security is a company that most banks turn to for reliable bank security systems and equipment. Instead of creating standard systems, they prefer to customize products and services to meet an individual bank’s security needs. Their most acclaimed security offerings include: audio and video systems, ATM security, entrance control systems, night depositories, drive-p systems and under counter cabinetry to name a few. 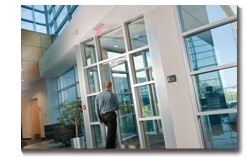 Their custom security systems for local banks have unique features like motion sensors, door locking controls and metal detection for better prevention of security breaches. This is a unique company which provides actionable intelligence for banks and financial institutions. Their main intention is to mitigate risk, ensure compliance, identify and combat fraud in the banking sector. Besides data protection, they offer round the clock video surveillance with timely alerts to ensure prompt reactions to any suspicious activity. This company boasts a client list of some of the largest banks in the world. Their most important product is the powerful Graphical Management System software which allows remote, real-time control of ATMs, bank branches and corporate offices. Using this systems, it is possible to verify alarm events, change PIN codes and print access cards without the need for site visits. They have a superior product known as Unison which is a next generation integrated security management platform optimized for ease of use. It enables banks to integrate different systems in order to streamline operations into one user interface. German-Bliss Equipment is a leading company that deals with a wide range of equipment and replacement parts. It is worth noting that German-Bliss Equipment has been in service for over 75 years and it fully understands what its client-base needs at any given time of the year. If you live in central Illinois, you can access the company’s products and services and products in three locations: East Peoria, Springfield as well as Princeville. In these locations, you will be offered some of the most remarkable dealerships boasting a wide selection of equipment and replacement parts. 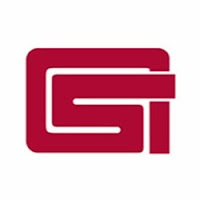 German-Bliss Equipment is one of the largest equipment dealers in the United States. Today, the company has grown on the web to follow-suit as one of the top online dealers of replacement parts, including hard to find parts for Bush Hog, Servis Rhino, Land Pride, and SnowEX, to name just a few. Below are we discuss a bit about some of these leading brands offered at the official website of German-Bliss Equipment. If you are looking for authentic or hard-to-find Land Pride parts, then German-Bliss Equipment is the best place for you. 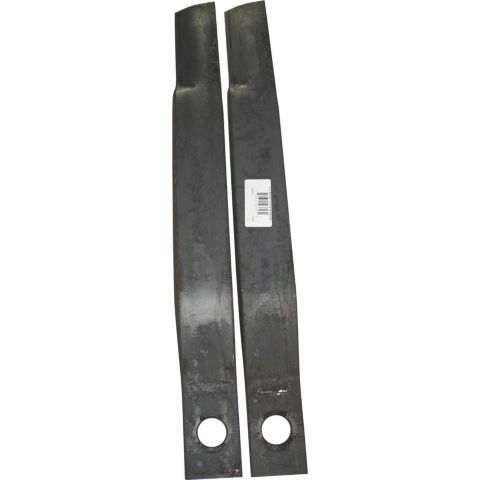 At online store of German-Bliss, you get access to a huge selection of Land Pride OEM parts and replacement mower blades for virtually every model. 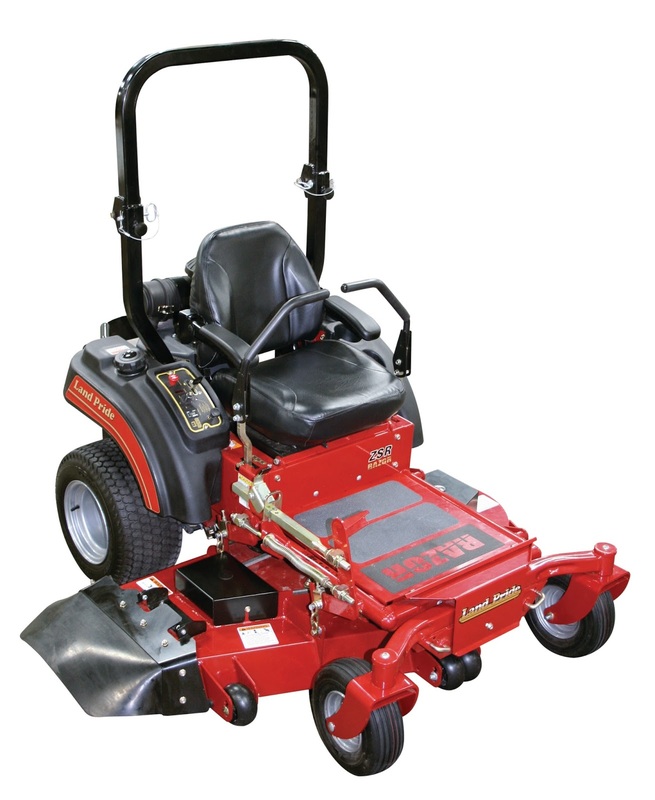 These replacement Land Pride parts range from lawn mower parts as well as components for each and every type of Land Pride mowers such as flail mowers, grooming mowers, finishing mowers and more. You can also find Bush Hog parts and components online. German-Bliss provides you with all models of Bush Hog machines, including rotary cutters, finishing mowers, and flail mowers, among other options. Moreover, the company deals with replacement components, including rotary cutter blades and Bush Hog mower blades. These components are shipped quickly to ensure that you receive them on time. SnowEX spreader parts components can be a daunting process to find, especially if you do not know which sites deal with these parts. Some of the various replacement parts for SnowEx spreaders include V-box-in-bed Spreaders, tailgate spreaders and so on. However, with German-Bliss, you do not have to go through complicated procedures in order to have the product delivered to your location at an affordable price. German-Bliss has a wide range of Servis Rhino to chose from, including Rhino rotary mower, cutter parts, shredder parts, blades and more. Additionally, the site provides exceptional customer support as well as fast shipping, so as to save you a large amount of time and money. Many online merchants falsely believe that all they have to do to acquire search engine traffic is to simply list hundreds or thousands of products on their websites. However, in all actuality, the process of optimized an eCommerce website for search engine optimization purposes to secure high rankings, is relatively harder than it is for a traditional blog or a squeeze page. This is due to the fact that eCommerce sites have an abundance of product pages that are continuously shifting on and off their site as a result of product availability, such as taking down a page for a product that the merchant no longer sells for example. 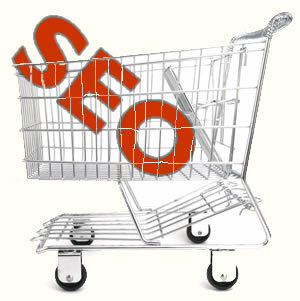 Therefore, you need to be more creative when it comes to formulating an eCommerce SEO strategy. Did you know that statistics demonstrate that 70% of online buyers search for reviews before they elect to utilize a product or service? What this entails as far as eCommerce SEO purposes go, is that if you fail to implement a product review system on your site, you are essentially missing out on the opportunity to acquire traffic from those specific search terms. Additionally, a reviews section can lead to user-generated content which keeps your product pages fresh and crawlable, which Google values for SEO. For example, if your eCommerce store sells custom made iPhone cases, one keyword you could easily focus on by utilizing a product review system is "iPhone custom made cases reviews." If you run a eCommerce store that sells handmade clothing, your targeted keywords for your eCommerce SEO strategy should not be short-tail phrases such as "handmade clothing." The reason being is that short tail keywords are significantly harder to rank than it is to rank for a long tail keyword such as "horror themed handmade shirts for sale" or "buy black and white handmade shirt online." The point being is that you should focus on long tail keywords as opposed to short key phrases because you will be able to rank a page for the specific term significantly easier than the latter. This is where the implementation of a product description section comes in handy. Utilize it as a canvas to include some long tail keywords as well as to provide your visitors with some enticing information. Did you know that big retail chains do local SEO as well? The concept of avoiding the possibility of adopting local SEO as a part of your entire eCommerce SEO strategy is a big mistake. In fact, people enjoy the concept of supporting locally owned businesses. Additionally, people are well aware of the fact that they will be able to receive a product that they purchased online from a locally based business, much faster than that of a mega corporation. A sitemap is essentially a list of all your web pages. Search engines utilize what's referred to as spiders, robots or crawlers to locate new pages on a website to index. They usually find these pages through links from other pages. If a sitemap is not identified during an initial audit of your eCommerce site, than you need to create on. However, main pages that are only accessible by forms, connected to videos or flash content, are not seen by the programs that the search engine uses to index new pages. This is where a sitemap comes in. While they don't necessarily improve your rankings on its own, it provides a road map that robots can use to know what to rank in the first place. Customer research - You will be able to see what your target demographic cares about the most, their interests, as well as the conversations they have about the things that they like. Customer Service - By establishing a social media presence, you will be able to quickly respond to your customer's inquiries. Customer Acquisition - Your social media profile will essentially operate as a storefront that you can use to acquire more customers. For more information on how to build the eCommerce SEO program for your startup, visit Click Centric SEO Company for a wealth of resources and services all focal to eCommerce SEO. United facilities, Inc. is third-party logistics and supply chain management company that is recognized for continuously implementing improvements to keep up with the ever changing demands of supply chain management (SCM). The company remains focal to continuous improvement to better meet the needs of customers and to continue the evolution of the way third party logistics and distribution business is conducted. Below, experts of United Facilities provide insight as to the company's focus in continuous improvement (CI) and how this emphasis has helped the third party logistics provider grow and thrive for decades. Our ongoing efforts to improve products, services and processes are the continuous improvement that the company has dedicated itself in order to be the very best in supply chain management. Some the changes that have been made and some the changes that will be implemented are efforts that happen over longer periods of time and quicker breakthroughs that occur almost immediately. 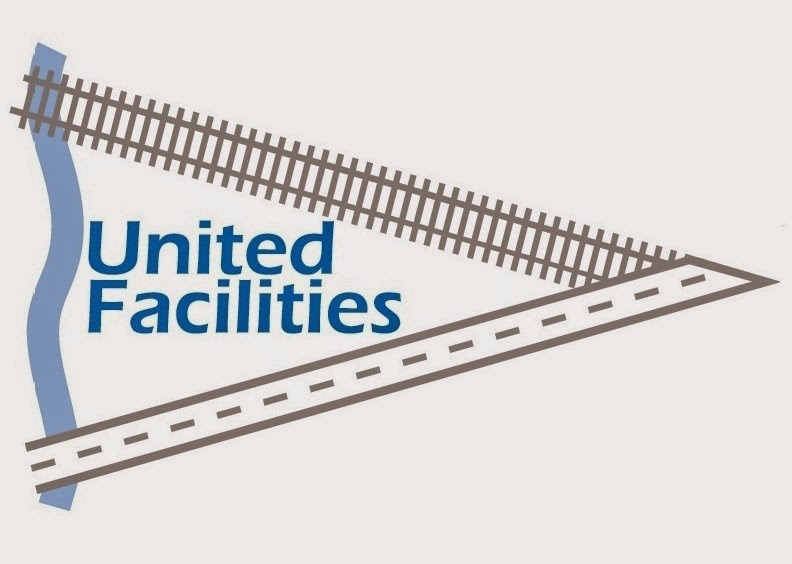 United Facilities has been in business over 50 years and has over the duration of the lengthy process seen an enormous change during the time. The third party logistics provider has prided itself on the fact that it has always been able to make positive changes by being able to identity issues and address them appropriately. The third-party logistics company has put the CI mindset into practice and this has enabled United Facilities to focus on solving long term issues better than before. By adopting the CI principles of identify, analyze, measure, improve, and evaluate, United Facilities has increased customer profits and helped improve the company’s own objectives and goals. By implementing CI in each and every facility of ours we have been able to help change the thinking processes and culture by which even our hourly employees adhere. Throughout the structural blueprint of the company, from bottom to top, each and every employee and their attitudes have changed for the better as has the efficiency of our operations. The fact that we have been recognized as the CI “champions of the year” by a Fortune 100 company who also happens to be one of our largest customers is a measure and evidence of the success we have enjoyed in improving our business functions to meet our customers’ needs. The company who has recognized our efforts did so after we saved their company over 2.1 million dollars in just a one year period. This is just one of the many reasons why our company has stood out among U.S.-based third party logistics providers. United Facilities knows by its own experience that by maximizing the performance of a supply chain, your businesses’ performance is what is really maximized in the long run and end result. As a reputable third party logistics provider in the U.S., our company offers the services, teams, and systems necessary to meet all your packaging needs as your business demands as you do your best to keep your business evolving and moving forward. From LEAN packaging services and warehousing to finished and inbound goods, we at United Facilities are equipped and ready to see that you can be as ready as we are to meet your needs as you should be to meet the needs of your own customers. Attention to detail and accuracy are key priorities that our team is always focused on in improving supply chain management. The logistics management services we provide and serve for many Fortune 100 companies in regional distribution centers is customary to those in the automotive sectors and consumer goods industries. United Facilities has been around for a long time and will be around much longer and all the while the constant improvements will continue to develop as we strive to maximize supply chain management even further. No matter the business, no matter the product, United Facilities has the systems and solutions you need to maximize the performance of your supply chain - and your business. The mailing systems and software solutions of Walz Label and Mailing Systems can be a significant competitive advantage for your business, helping to ensure timely and accurate delivery and arrival of your company's shipments. A key advantage of Walz mailing system solutions is that the company provides professional insights and consults to help you leverage the right technology and in the right manner. 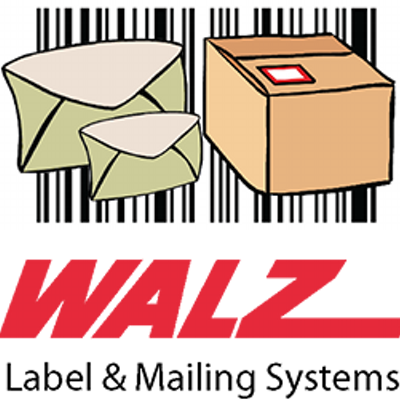 Walz Label and Mailing Systems is a supplier that has planned, produced, and introduced Multi-Carrier Shipping Systems in many areas all through the world including the USA, UK, Europe, Australia, and Dubai. With local roots, Walz has the global reach to support some of the industry's most advanced mailing systems. The products and solutions offered by Walz are processed right away for all customers. They offer tech support such as on-site service plus maintenance, time and material which is also an on-site service, FOB warranties and free phone tech support. When you get in touch with Walz the service manager will create a work order that will track you call about their solutions. The service team of this company will more likely be able to trouble shot your problems over the phone and this just may result in your business time and money. A product specialist will be sent to your location if they can't solve the problem over the phone. If their tech personnel will be late you as the customer will be contacted and notified. The technician normally gets the work orders via their tablets and is able to access the details about the equipment history and the customer's info to ensure they are properly prepared for the call. Every one of the specialist are equipped with parts from inventory that are used for common repairs. There are times when there is a requirement for emergency parts and they will be shipped no later than the following day to their closest depot. In the event they are not able to repair your hardware, Walz will lend you a replacement when accessible to keep your association from encountering inordinate downtime. There are times however when a loaner can't be given and a substitution postage meter supplies must be requested. When these examples happen, they generally offer for your association to run your mail at our office through their showing gear and live postage meter. They even offer personalized support administration for disgruntled clients. Walz offers establishment and preparation for each item they offer, even little home office items that can be sent specifically to the client. For most other frameworks, the company never delivers specifically to the client. These frameworks are dispatched to the workplaces, where they are assessed, un-stuffed and tried before plans are made for an establishment date and time. Walz offers preparation for new administrators, and the same for existing administrators. Walz needs your association to augment the estimation of ventures by seeing the highlights of majority and usefulness of accessible. The best part of this company is that items are sponsored by aggregate fulfillment. In the event that you are not content with the item or administration we will supplant it instantly. The greater part of Walz is straightforward, with no concealed expenses or charges. Some of the better parts of our field item authorities are the production line. All Walz clients get a four hour 'on location reaction time' and 24 hour ensured administration. For industrial and agricultural businesses looking for the more efficient and advanced way to measure truck loads, the new volumetric scanner system from Walz Scale offers a new and powerful solution for many different businesses. Delivery the perfect blend of simplicity, accuracy and efficiency, the Walz Load Scanner (WLS) is 3D volume scanning system that uses laser technology to scan truck loads. These easy-to-generate load scans can be converted into weight metrics for all types of uses. What Exactly Is The Walz Load Scanner? The WLS truck load scanner gives precise volumetric load calculations on truck loads which are converted into weight metrics. The truck has to be open at the top while the scanner’s head is directly below it. This system enhances safety when it comes to weight distribution in the trucks. In addition, it can also be used for external weighing systems. The system’s operation is based on patent pending algorithms and laser technology which enables it to give best results in management of truck loads without making any contact. This makes it suitable for industries which transport huge volumes of bulk materials. During operation, WLS truck load scanner system compares empty scans of vehicles to their respective loaded scans. To make the process fully automatic, vehicles are usually fitted with RFID tags. Usually, vehicles should not exceed 3.5 mph while driving under the scanner but the system can offer high speed scans. Unlike other payload management systems, such as heavy duty weigh bridges and portable truck scales, WLS is very affordable. Installation cost is usually half of what is spent in installing fixed weigh bridges. Furthermore, the system is simple, efficient and very organized. With WLS you don’t have to worry about major maintenance procedures such as recalibration. This truck load scanner is designed and manufactured under the supervision of highly skilled personnel. Its materials are of high quality hence it can serve for many years in hostile production environments such as mining and construction. Don’t expect any estimations while using WLS. The technology in this scanner ensures that payload measurements and data are reliable and accurate at all times. It eliminates any errors brought about by moisture content, compaction and load variation. Walz Load Scanner system can be installed and start operating on the same day. Its technology enables it to make calculations in a matter of seconds and this data can be accessed in real time using advanced software systems. It is also compatible with mobile devices such as tablets and iPads. Some load scanners will require calibration and maintenance after a period of time. If such operations are not carried out, such scanners give room for more errors. However, with WLS, you can use it for years without servicing or re-calibration. In addition, it ensures that the output remain consistent for long years of operation. This makes it the ideal scanner when dealing with large volumes of materials in harsh conditions. The Walz Load Scanner is the best for tracking production flow without any interruption. This increases the overall efficiency and output of the industry. For more information, visit LoadScanner.com, the official website of the Walz Load Scanner system. Walz Scale, the company popular for industrial weighing solutions such as heavy duty weighing equipment and truck scales, has introduced a new line of highly dynamic dimensional scanning and weighing systems designed for shipping and distribution centers. Walz new dimensioning products range from static package scanners for simple needs to dynamic cubing systems for high-volume conveyors. The new dimensional scanning and weighing equipment from Walz is suitable for many different applications that demand efficient and fluid dimensioning and cubing. The line-up of dimensioning systems make scanning, weighing, and overall cubing processes much more efficient while still keep the equipment affordable. Below we discuss the new dimensional weighing systems from Walz. They are all sustainable for applications spanning from high-volume logistics and distribution companies to local shipping centers and bring value to all relevant operations. 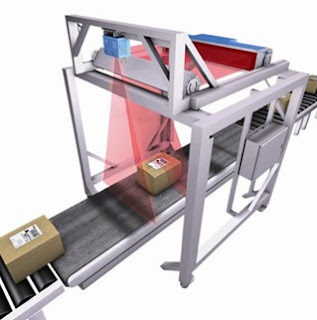 As indicated in its name, the in-motion package scanner (IMPS) is a dynamic system that is good for conveyors. As one of the top high-speed cubing systems, it provide real-time package dimensions and metrics. The industrial-grade design of the IMPs allows shipping and logistics operations to incorporate this system directly into their existing conveyor systems. It uses field tested, efficient laser scanning technology to achieve high accuracy dimension data at high conveyor belt speeds. The system operates either as a standalone dimensional weighing system or as an integrated part of an existing conveyor system. It fully-automate shipping and manifest systems, which focuses on maximizing on efficiency and throughput so as to minimize cost while maximizing output. These are high-end dynamic weighing solutions suitable for clients that need accurate dimensioning system for pallet and large freight operations. These systems are popular for their ability to provide some of the fastest and most accurate measurements in tough conditions and are simple to operate. It includes data management functionality that enable the system to be easily integrated into existing warehouse management systems, which make it a turn-key for setting up a fully-operating and highly automated system. 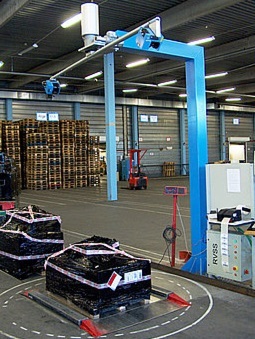 Like the IMPS, the pallet and large freight dimensioning systems by Walz include scanners that generate accurate dimensional data at instant time. They are designed for advance dimensional weight data without necessary stopping the pallet. Furthermore, these dimensional weighing scales are available for indoor and outdoor operations. It only require the user to choose the right machine depending on the specific application. The Static Package Scanner (SPS) is a perfect dimensioning and cubing system suitable for warehouse and shipping operations. They are also good for POS desk and other organizational dimensional weighing operations. 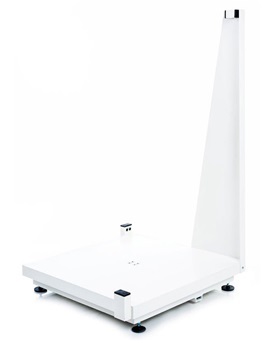 It is a unique weighing solution that is available at affordable price, is reliable, efficient, and include easy to use unit. The SPS include industrial-grade sensors that ensure accurate package dimensions. Unlike the conventional dimensioning systems, the engineering and design behind the SPS allows for continued operation in rugged industrial applications and high-volume shipping stations. Apart from the above, Walz has also realize other advance cubing dimensional weighing systems that are custom for a wide spectrum of needs. They have tailored their products and service programs to fit for projects at hand. Learn more about these and other cubing and dimensioning systems at WalzScale.com. Unlike specific strategies that center on social media, search marketing, and content strategy, web presence management applies a comprehensive and more strategic approach to Internet marketing and online brand building. When infused with the incredible growth of social media, the power of SEO (search engine optimization) and PPC (pay per click) advertising, and content marketing, web presence management strategies can change the perspective of Internet marketers and help them truly grow powerful businesses. This, in its own essence, is a strategy culmination of nearly all online touch points or web marketing channels, as well as how they come together to influence engagement, visibility, and brand awareness. A strong web presence requires a combination of creative planning, diligent research, and a thorough execution. Below are some of the primary cornerstones to cultivating web presence management in your company and its culture. The whole idea behind SEM is rather simple; when visitors search the internet via either a text box or a directory hierarchy click-through, they are ideally hunting – for information, products and services, or both. The visitor may be at the onset, middle, or final stage of the purchasing cycle. Searching online enables a buyer to have more information about a product before he or she makes the final buy decision. This could mean that they are comparing what you have to offer with what they can get elsewhere. Sometimes they are looking for options and so they click through a number of links before they are redirected to your site to complete the buy process. Therefore, it is important to have your site on the first page of “organic” or unpaid search engine results; otherwise you will be losing business to your competition. This is the foundation of SEO and improving your company's web presence in search engines like Google and Bing. Integrate SEO/SEM in your web presence management strategy as a long-term focus and perhaps get a SEO site audit done to ensure your strategy is headed in the right direction. With the advent of social networking, businesses are now exposed to a wider audience globally through their network of friends and loyal followers. When used properly, social media marketing can grow your business tremendously. Social media widgets enable you to create content that your followers can share with their friends and “spread the word” about your business. However, this is not easy; it requires that you listen to your audience, share the right message, and enable others to do the same. You can reach a larger audience through your social media accounts such as Facebook, Twitter, Instagram, LinkedIn, Pinterest, Google+, and more. This should be a priority for your web presence management strategy, as it will help building your brand while also helping to support your SEO objectives. There can never be effective social media marketing without relevant, quality content. A powerful content marketing strategy is what builds a solid social media strategy. Great content will get people sharing, which will in turn widen your audience to a larger world of potential fans, followers, friends, and customers. Realize how content marketing works closely with social media marketing to expand your business growth potential. Additionally, content marketing can also help fuel progress with SEO. By tailoring content that's related the focus of your SEO efforts (i.e. specific keyword targets), and when that content gets social favor, Google and other search engines will attribute greater credibility and value in your website. Good example of this is the Web Presence Optimization Strategy Guide offered by the Web Presence Group. This guide offers a lot of value to businesses, and is also relevant on keywords related to web presence optimization. Reputation management is another important aspect of web presence management. Online marketing professionals spent much time offering advice on the importance of managing online reviews and ratings for local businesses. However, reputation is much broader than just reviews on Yelp. While issues often arise between a company and its customers, you can try and resolve the matter before customers are pushed to the point where they believe that they can only get satisfaction through one of the public forums where they can warn other people about your products, services, and business. With the Internet, word-of-mouth can travel almost at the speed of light! For this reason, it's vital to develop a reputation management strategy. The goal of web presence management is to build a sustainable, credible, and trustworthy web presence that is not only visible in search engines and social media, but will also protect your image or brand and last long enough to keep you in business. Finding authorized suppliers of genuine Land Pride OEM parts and components is not always easy when shopping the web. There are a lot of website that claim to sell Land Pride parts, but their reputation and web presence may be questionable. Below we feature five leading online dealers that are recognized by their quality business model and comprehensive selection of authentic Land Pride OEM parts. Zanelly David Self Tractor Co.
Operating in Buna, TX and Winnie, TX, David Self has grown to be the leading Land Pride parts supplier in Texas. They are known for their wide range of new and used parts. Simply, it is a one-stop shop for Land Pride tractor parts. They are also known for their competitive prices on new as well as used parts. Besides, they offer financing to enable their customers make a purchase. 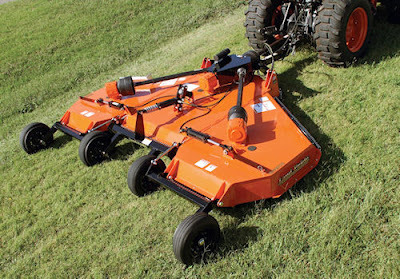 David Self Tractor Co links customers to the customer financing offered by Land Pride. You can reach their Buna, TX offices through phone (800-549-3522 or 409-994-4755). The Winnie, TX office can be reached through phone (800-323-3591 or 409-296-9600). Their email is sales@davidselfmahindratractorparts.com. You can buy OEM parts online at www.davidselfmahindratractorparts.com. They are the leading suppliers of Land Pride parts in Central Illinois. Having been in business for 74 years, the supplier has garnered enough experience and sells the widest collection of new and used parts. German-Bliss offers speedy shipping and their return policy works for and not against the buyer. They ensure that the parts you get are high quality by keeping them maintained. You do not have to worry about finances as German-Bliss offer low interest financing to enable their customer to buy parts. You can reach them through their hotline at 800-738-4734 or write them an email at ggerman@germanbliss.com. To order for Land Pride OEM parts online, visit the German Bliss online parts store at store.germanbliss.com. This is perhaps the largest online Land Pride parts marketplace. They hold over $2.5 million in stock and they continue to expand each day. The online store, www.centralequipment.com, is well designed making it easy to navigate and shop. They have grown to be the preferred dealer in Kentucky. They are known for their great promotions and their low interest financing. You can shop 24/7 and have the parts shipped to you within a few days. Besides, the company can maintain your mower after selling you the parts through their LexGoMow department. They operate in Lexington, KY. You can reach them through phone ((859) 253-2611 or toll free (866) 855-9738) or through fax (859) 231-0923. They are Nashville’s largest Land Pride parts suppliers. Their service department has been set to ensure that every part sold to you is in good working condition. They sell new and pre-owned parts. If you are buying in bulk, or you are buying large tractor parts, you will be offered financing. What makes them unique is their ability to stock parts (mostly used) for hard-to-get models. You can make your order today at www.mchenrytractor.com. You can contact them through 615-227-8291. Haltom Equipment has been in business for the last 20 years. They bring Land Pride OEM parts of all sorts. They have a wide collection of lawn mower parts, rotary tiller parts, zero turn and tiller parts. You can get both new and used parts. Haltom Equipment, Inc are known for their great customer service and their wide collection of parts. They operate in Mooresville, Indiana. You can contact them through phone (317) 831-4985, Fax (317) 381-4986 or email at question.haltom@gmail.com. Find more about them or buy Land Pride parts at www.haltomequipmentco.com. For over 50 years, Federally Qualified Health Centers or FQHCs have been providing quality and comprehensive primary health care services to deserving citizens across the US. One of the major challenges that FQHCs have faced over the years involve effective and efficient billing, and getting patients to fulfill their medical bills in a timely manner. To help FQHCs establish an effective and efficient billing systems and comply with all legal requirements when it comes to billing, most FQHCs outsource these functions to FQHC billing companies. The value in working with an FQHC billing company has led to the growth of numerous FQHC billing service providers around the US. With many FQHC billing companies available, it might be difficult selection the best one. Here is a review of some of the top three FQHC billing companies. With several years of experience in the health sector, no other firm can match the level of professionalism and service provided by Practice Management. Know for being the best FQHC billing company in the US, Practice Management has helped numerous health centres streamline their billing process to improve revenue and payment turn around. They mainly specialise in improving revenue collection efficiency and to this end have developed custom revenue management solutions for each of their clients. They have also developed software programs that help health centres be able to see all patient details and billing history. This is important in enabling a seamless workflow in the billing process and enhancing efficiency. Practice Management is a reputable FQHC billing service company and offers specialized services in pediatrics, family practice, cardiology, internal medicine and numerous other areas. Practice management has expert and experienced staff who offers professional services in FQHC billing and other essential services like helping their customers comply with all FQHC legal and ethical regulations. One other advantage that Practice Management offers is its professional team of customer service representatives who are bilingual and able to respond to any query or clarification that one seeks. You can get more information about FQHC billing company at MaximizedRevenue.com. Visualutions is one of the top three FQHC billing service companies. In addition to providing normal FQHC billing services, its main specialization is in providing health centers with overhead cost reduction and revenue maximization solutions. To achieve this, Visualutions concentrates on staff training to equip staff with knowledge and skill to effectively manage FQHC billing services. They offer both classroom and hands on practical training. Synergy billing is one of the top FQHC billing providers that has been in operation for several years now. In fact, it has been rated as being the best biller in terms of collection rates. Besides offering billing services that aim to maximise revenue collections, Synergy also offers FQHC staffs training to enable billing staff understand how FQHC billing system works. This aims at reducing over reliance on FQHC billing companies. 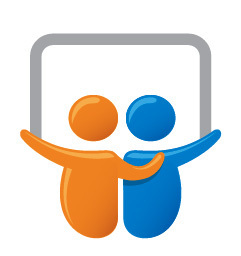 Synergy also have regular informational webinars with FQHC staff to enable them maximize revenue collections. Synergy also specialise in account receivable recoveries for FQHCs as they diagnose the problems resulting in A/R balances and follow up on each open account. Better Triathlete, one of the fastest growing triathlon websites on the web, has cultivated a righteous business plan that helps connect athletes with triathlon coaching. But that's not all. In addition to launching the Better Triathlete "Triathlon Coaches Network", the online publisher also provides a number of resources to help educate and inspire athletes to thrive in their sport. Among the most prominent resources are compilations of triathlon-related podcasts, some of the best triathlon books, and blog that regularly puts out pure value ideas on, well, becoming a better triathlete. Better Triathlete's Triathlon Coaches Network is designed to help athletes find triathlon coaches in their local area. 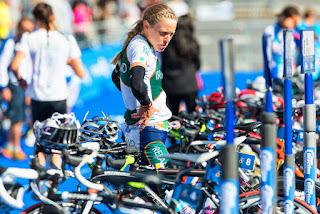 Additionally, the website will soon be sponsoring coaches that offer online triathlon coaching. In short, Better Triathlete is righteously crafted to become the next online authority in all thing triathlon. The Triathlon Coaches Network offers sponsorships for all fifty states, so a coaches must apply to represent their state as part of the network. Soon, the website will be expanding into regional areas of focus, as well as popular cities. This will allow more quality triathlon coaches get exposure, especially from athletes who are in their local area. How Is This a Triathlon Coaching Business Model? Emerging coaches looking to start a triathlon coaching business must seek creative ways to carve a niche and gain exposure. Each sponsored triathlon coach in Better Triathlete's network gets to occupy the profile page for his or her particular state. And because these state webpages generate a lot of traffic consisting of Google searchers looking for triathlon coaches in Florida or Michigan triathlon coach, sponsored coaches often get acquire new athletes. This in turn helps them grow a triathlon coaching business, and build a reputation. The monetization of the online publishing site is an affordable monthly membership fee that sponsored triathlon coaches are often more than willing to pay give the return on their investment. Be sure to check out the website and the brainchild behind its triathlon coaching business model. 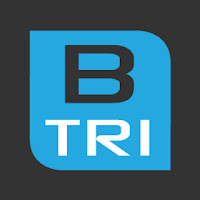 Visit the official website at BetterTriathlete.com, or check it out on Facebook, Google+, and Twitter. No doubt that you'll agree that whenever your Bush Hog rotary cutter needs a new blade, you'll need to have it replaced as soon as possible. 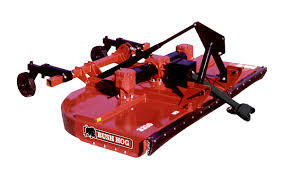 This being the case, it is imperative that you have your Bush Hog supplier information with you at all times in order to avoid finding yourself scrambling and wasting valuable time trying to identify the best online source for Bush Hog rotary cutter blades. German Bliss is a premiere online location set up for the sole purpose of purchasing parts needed quickly and easily without necessarily having to run around. Unlike several other suppliers, German Bliss has a fairly huge stock of Bush Hog replacement parts and rotary cutter blades which is unlike most suppliers who only focus on dabble parts hence do not provide a great selection of parts to choose from. In short, German Bliss, is most likely to have any component which you may be looking for. In addition to the above, the store also offers very reasonable pricing options and boosts of an extremely prompt delivery system. This is clearly evident from the ability to order easily and quickly online. This is coupled by impressive and quick to respond customer service through the phone. For more details head straight to their online store via Store.GermanBliss.com. Tractor Supply Company is well known and constantly receives decent reviews. In fact, it also enjoys very high rankings by the better business bureau. What makes them stand out from other common suppliers is the fact that they have made it very easy to place orders for replacement parts. What’s more, they also have set up several brick and mortar stores. This means, if interested you can walk right into any of their stores and have a normal conversation with any of their customer support specialists. Swartz Equipment is supplier that offers a fairly large choice of Bush Hog parts particularly for rotary cutters. They have a great customer service team as well as a next day offer delivery for a specified fee. In addition to the above, they also have very helpful pages which have models and part numbers for simple selection. Although they are a small supplier, they have an impressive and all inclusive catalogue of specialized parts for Bush Hog equipment, as well as rotary cutter parts for Rhino mowers. For more information, head to www.swartzequipment.com today. Pronto is particular supplier serves as a one stop shop for different kinds of supplies and accessories. It is a great option especially if you are looking to manage your shopping at once without seeking customer support. Take note however, most of their items are linked to third party sellers such as the Amazon. This being the case, if you are looking for customer support services then you should seriously consider partnering with a different supplier. For more details on the parts, visit: www.ProntoCat.com. Messicks is one of the leading distributors of Bush Hog equipment. In fact, it is amongst the most experienced sellers on the internet. This being the case, you can rely on them to meet all of your new equipment needs (most of which are shipped as fast as after 1 business day from the moment you satisfactorily place and order). Their inventory is stocked with blades, gear boxes, belts etc for more information, reach out to them either through phone or via email: parts@messicks.com. Payload Pros has become a juggernaut in the development of effective and efficient portable weigh scales. These portable weighing systems for trucks and heavy-duty vehicles have significantly helped operators cut down the costs while maximizing efficiency and throughput in their weighing operations. There are many different types of portable truck scales and weighing systems from Payload Pros, spanning from in-motion axle scales to portable wheel weighers. Some of these systems have played pivotal roles in helping companies revolutionize their internal weighing operations. The following are some of the various portable weigh scale solutions offered by Payload Pros. There are several models of these portable wheel weighers, such as the HDAW-Series and AW-Series wheel weighers. They are multi-functional portable weigh scales and thus very efficient. These scales substitute the use of heavy-machinery, like weighbridges, since they allow for seamless on-site installation. This enables individuals and companies to cut down on set-up cost, labor, and overhead. Portable wheel weighers are cost effective (both affordable to buy and maintain,) as well as reliable and effective scales for virtually all operations. The standard duty scales enables drivers to negotiate safely thus enabling them to have adequate and simple loading and off-loading of loads during industrial processing or payload distribution. Most wheel weigher scales are compact and convenient for various industries. In short, these scales allow for simple and effective services for all weighing electronics since it is located onsite. Portable axle scales from Payload Pros are specifically designed for heavy-duty applications that demand versatility and mobility in the scale unit. They are highly versatile, affordable, moveable, and accurate thus offering firms with the convenience that they deserve during the production process. Portable axle scale systems preferred by a majority of mining companies and farmers, as they offer a number of options, including in-motion weighing. These scales are specifically used in various atmospheres and weighing sites. Payload Pros portable weigh scales are designed to handle harsh conditions and the worst environments, spanning from rain to mud. And with the advent of the new in-motion axle scales from Payload Pros, many users are realizing greater efficiencies without having to come to a complete stop on the scale's weigh pads to calculate measurements. The company also offers portable scale rentals, thus helping companies leverage one of these scales for short-term use. Because these pieces of machinery and equipment are very expensive, renting is far cheaper solution for companies needing portable truck scales or wheel weighers on limited time basis. Like other scales, these portable scale rentals are equally as accurate and can be installed with other Payload Pros products and weighing systems. Instead of buying an expensive portable axle scale that may cost several thousands of dollars, portable scales for rent are a sound solution of many different companies. Payload Pros works in conjunction with Walz Scale to provide a number or truck scale rental options. You can learn more about the various truck scale rentals at WalzScale.com. These advanced portable truck scales from Payload Pros helps manage the weighing and analysis of truck loads, delivering the most accurate calculations. Leverage this advanced technology for your business to accelerate throughput and operational efficiency.